We partner with businesses to identify, recruit, train, support, progress and retain talented employees. Business is of course only ever as good as the people it employs. But what does young talent look like now and what will it look like over the next decade? We hear about the problems - Skills gaps. Dwindling talent pools. Brexit. The 4th industrial revolution (watch https://bit.ly/1PnLrg1).  Working Knowledge offers solutions; from niche apprenticeship schemes to volunteering in colleges, from bespoke management training to targeted recruitment of 18-23 year olds. Everything we do is underpinned by a deep understanding of what motivates and drives young people and also how the education system can benefit you as a prospective employer and the young people it serves. 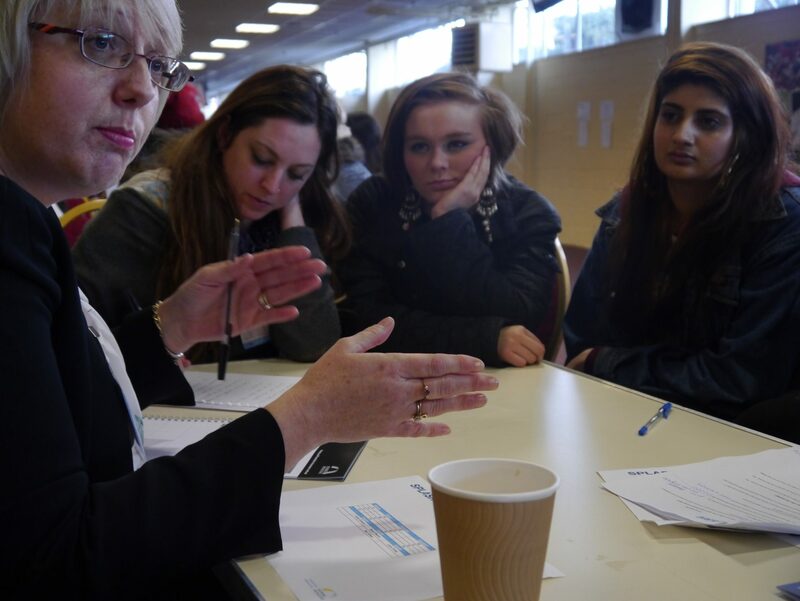 Our Academies connect ambitious businesses with young local talent that with our bespoke training and support go on to thrive in their careers. As a result, business productivity goes up and young people go on to shine. We are specialists in roles that are focussed on communicating with customers such as Sales, Marketing, Digital Marketing, Customer Service and Business Development. Businesses that work with Working Knowledge can utilise the Apprenticeship Levy to access 90% government subsidy. We are expert at developing effective programmes that therefore help you to save on training and recruitment costs. Expert advice in the design of in-house recruitment, induction, training, retention and progression processes with reference to managing young Gen Z millennials. Search, selection and recruitment of young talent from diverse non-traditional ‘pools’ that in turn widens the diversity of the employee base. Expert in-person training in groups specifically designed around the needs of your business. 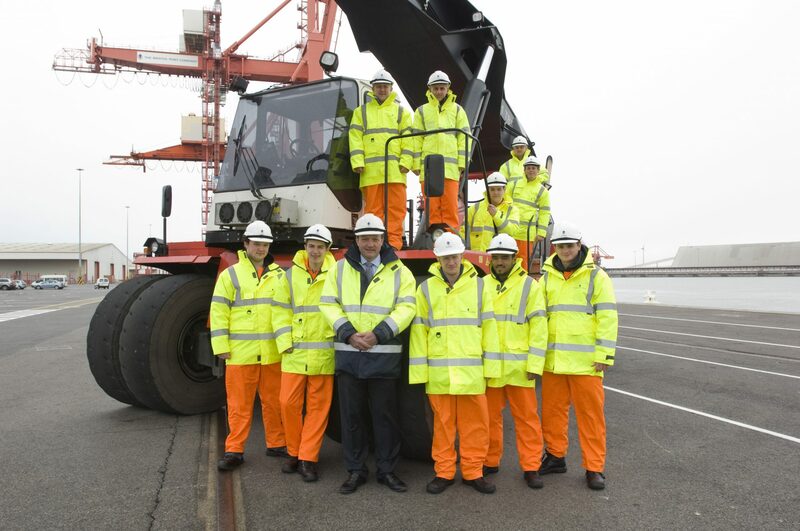 Support and training to managers of new recruits to maximise success. We don’t believe in giving young people a chance if they don’t deserve it. Great careers do not come easy and we are too busy to work with young people who are not fully engaged. That said we all carry an unconscious bias around that blinkers our recruitment process and can effect management style and therefore retention. We therefore help businesses boost diversity in its widest sense by spotting, nurturing and unleashing hidden talents within our bespoke Academies for the benefit of both young people and the businesses they join. Find talented, young prospects that are as passionate as they are skilled. Our diverse pool of talented trainees are ready to excel for your company. Through our Working Academy training boot camp we are able to prepare trainees with the skills, knowledge, and behaviour training that will see them transition into full employment with ease. We don’t just support our trainees before and after hiring, we also provide staff training, strategic consultancy, and manager support for your business. We have decades of experience in helping businesses find the young talent that will take them forward. 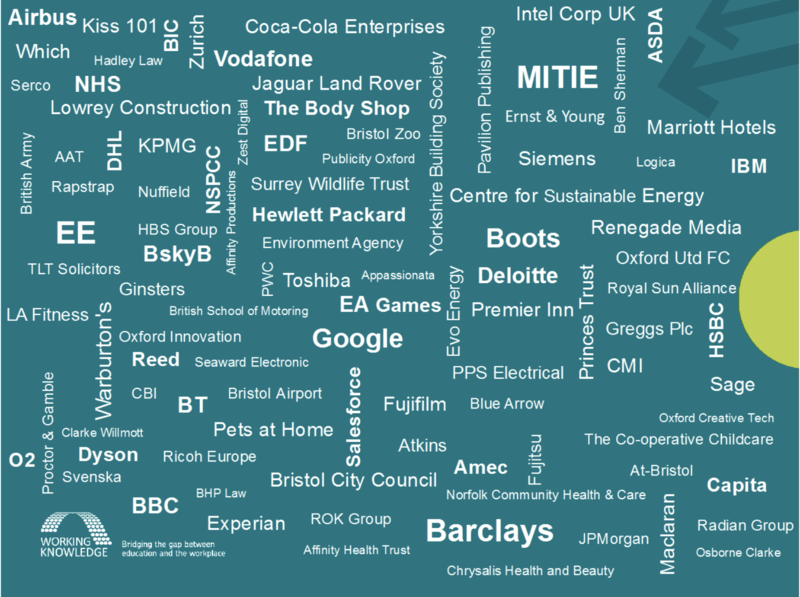 To date we have worked with almost 4,000 companies, 2,300 staff, and 23,000 learners. Working Knowledge leverages the Apprenticeship Levy to fund a large portion of our bespoke programmes. What that means for your business is that you can get superior recruitment and training services while saving money on both. We have partnered with over 100 colleges and universities. We provide a bridge between education and business, where educators can learn what companies need from employees and businesses can build beneficial relationships. We all carry an unconscious bias that blinkers our recruitment process. We help businesses boost diversity by focusing on merit-based achievement. Our young talent is motivated to earn their careers. Existing employees of course should not be denied the opportunity for training and upskilling. The Apprenticeship Levy can be used to fund the training of existing employees of any age and level of seniority. It is possible to do a Masters Level apprenticeship and fund it through the Levy process. Managing and recruiting millennials, specifically Generation Z (born in the 90’s and 00’s). Programmes are delivered in partnership with Weston College an outstanding educator that delivers nationally and at all levels including degrees. Like our Academies we require a minimum number of delegates on a programme. We know that for our economy to grow and thrive, the workplace needs a steady stream of work-ready, eager, confident, creative and ambitious new young employees. This is too greater challenge for teachers alone, since educators cannot know what actually happens in all industries and more importantly what skills and attributes are required of new young employees or indeed freelancers/entrepreneurs. This is CSR with true commercial value to you. We set-up volunteering opportunities to work with and alongside our education partners to support the education of 16+ year-olds to better align them to the demands of the workplace. What happens on a volunteering day? We don’t ask our Volunteers to give speeches or presentations or prepare anything before the day. Interactive and hands-on, our volunteering days are designed to maximise the impact you can make by sharing your career-journey, experiences and knowledge. Talent spotting for subsequent recruitment needs. Brand awareness with a younger generation to aid recruitment campaigns. Networking with other volunteers from diverse organisations. Launched in 2018, these Academies are targeted at entrepreneur-led ambitious businesses that require a trained and supported marketing resource to build sales leads via digital channels. Designed and refined over the last decade across over 1500 companies, the Watertight Marketing methodology is a proven and powerful approach captured in the best-selling book by Bryony Thomas. It was a chat between James and Bryony that led to the launch of the Watertight Marketing Academy. Like many businesses, at Working Knowledge, we simply did not have enough time or resource to do the digital marketing we knew we needed to do. Bryony said, “What you need James is an apprentice”. She was right! But not any apprentice, trained simply on the tactical digital tools. is proven to work in real businesses – The Watertight Marketing framework. budgets, run marketing teams, and worked hands-on in growing businesses. This means practical learning applied to your specific business. Is clear how their activities will generate sales and positively impact the bottom line. Is an existing employee we can retrain or a young talent we can recruit. So, the Watertight Marketing Academy was born to train Digital Marketers for ambitious businesses serious about their customers. And since it’s mapped to an Apprenticeship Standard the government will cover 90% of the training cost for non-levy paying businesses. 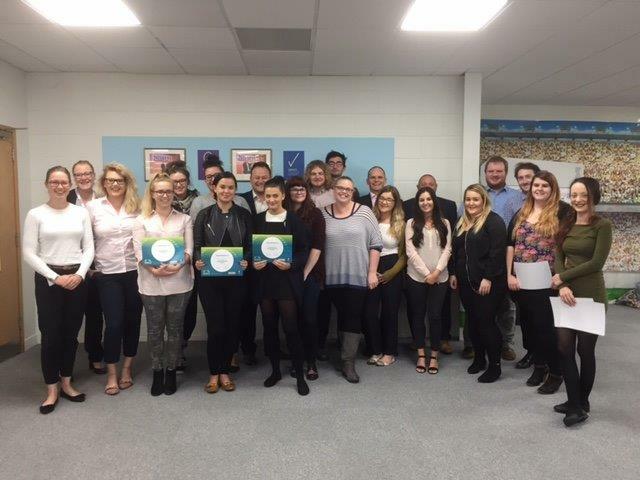 In July 2016 Nisbets launched a new concept in recruitment and training for 7 new hires (apprentices) in partnership with Working Knowledge and Weston College; Nisbets Academies. By the end of 2018, a total of 10 Nisbets Academies have started. The impact on retention and productivity has been profound. So, what is an academy? Nisbets Academies recruit young people and give them dedicated training and support over a 15-month period to accelerate their careers. Effectively therefore we are recruiting them on their potential and ‘raw’ talent rather than time in similar roles, and then giving them the working knowledge to flourish here at Nisbets.